Kylie and Travis have been totally in love after the birth of their daughter Stormi. The couple's PDA has been the witness that the duo is still going strong. However recently a woman has threatened to steal Travis from baby mama and everyone is shocked. 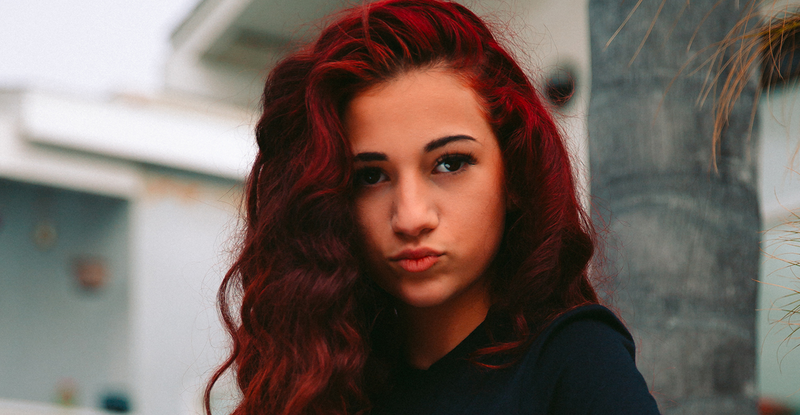 Kylie Jenner better be aware because “Cash Me Outside” girl Danielle Bregoli is here to steal your man. Sources exclusively revealed that Danielle has a major crush on Travis Scott and is willing to do whatever it takes to hook up with him once she turns 18. Danielle’s telling everyone when she turns 18 Travis is hers. “Danielle’s telling all her friends [that] Kylie better enjoy this time with Travis because once she turns 18, he’s hers,” the source revealed. She has a crush on Travis since long. Danielle doesn’t think Kylie should hate her, even though she does have a child with the rapper. According to the sources, Danielle talks about how Kylie was a teenager when she went after Tyga, knowing that he and Blac Chyna had a complicated relationship and a son together. Danielle apparently thinks Kylie had this coming, and some hot teen was bound to steal her man one day, too. The good thing for Kylie, Danielle just turned 15 years old on March 26. There are three more years until the rapper can go officially go after Travis. Kylie and Travis might even have one more kid by then. Kylie and Travis have proven to have a rock solid connection after Stormi’s birth. The Question is could the rapper actually come between the pair. Of course, it’s possible, but there’s a strong possibility Kylie will do anything to protect her little family especially from the “Cash Me Outside” girl. Breaking News! 90 Days Fiance Couple Files For Divorce! Stewart and Charlize Theron Reunite?